I certainly have made many mistakes along the way, in my craft business. More often or not, have done things the hard way. I have learned a lot and am still learning. The school of hard knocks they call it. 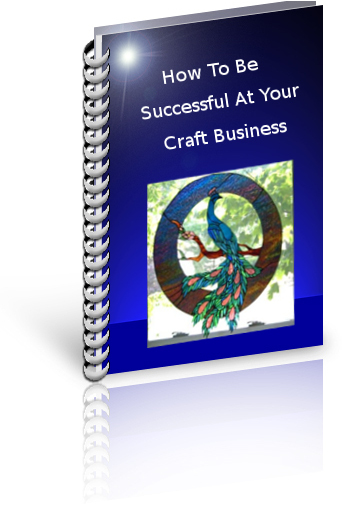 Well with this Craft Business Ebook I am trying to help crafts-people avoid some of the hard knocks. Over the years many people helped me out as I was starting my crafts business. Whether it was helping to keep my craft booth from blowing away in the middle of the night, or giving me advice on the best way to display items. All was greatly appreciated and this book is a way for me to give a little back to the craft community. Our crafts are hard enough by themselves. Let alone all the background stuff that goes into a business. My suggestions in the book take into account over 20 years of experience. Many things that I originally opted for doing myself, but later found it was actually more economical to pay people to do. Crafters and artisans typically try to do everything themselves, after all we are handy people. Our crafts business dictate that we have many skills to make our final products. So it seems only logical that we do everything with our business as well. The truth is that there are many people that have the skills to help us for very little cost. The topics in the Ebook are not specific to one type of craft but deal with common topics universal to all crafts. This gives a brief overview of who I am and the struggles with my craft (blacksmithing) which is not a high demand craft so has to be marketed carefully and ingeniously. I also introduce the concepts covered in the ebook. Retail is the back bone of the craft industry. 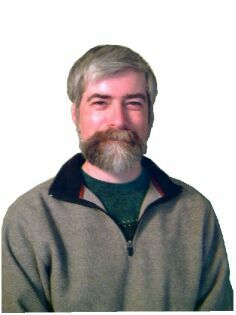 I discuss operating your own retail store, gallery, studio, indoor and outdoor craft shows. I explain how to qualify your customer, and how this can save you time and dollars. Especially at a craft show. In this chapter I also discuss consignment which is another type of wholesale. How to avoid losing your merchandise if your consignment store happens to go out of business. Cutom work is working one on one with the customer to create exactly what they want. You could be making a stained glass piece to fit a space and their decor, or custom wood table, the options are endless. Custom work requires extreme consideration of the customers needs and finances. Contracts are also important to protect you and your customer. I also discuss what you can do if you recieve a bad check. This refers to the other catagories as well. Once you become proficient with your craft you may opt for teaching. This can be both lucrative and rewarding as you help people become proficient working with you medium. Advertising in one form or another is what drives our income. It may be face to face, word of mouth, or an internet presence and many others. Which ones have I found to be right for the crafts market. As a subsection of advertising I discuss in some detail photography and how important it is for your advertising. Book Keeping is no-ones favorite job but it is an incredibly important part of your business. I explain how I set up my books and record the items and their various categories. I also describe when and how you should use an accountant. Taxes and keep sanity dealing with the government. These are just a miriad of information I have picked up ove the years that will help you do things faster and more cost effective. It is OK to pay for some things that you would struggle with for hours. We are now in tricky economic times for the craft industry. You might think that crafts are luxury items and are the first things to be cut from the list when people tighten their belts. To some extent this may be true. People will still buy quality because it will last longer. So make sure your craft is the highest quality you can make. In How To Be Successful In Your Craft Business I discuss how to set up a website and marketing your product on the internet. With these economic times this is even more important. You can reach people all over the world, many whose economies are not affected as local economies are. Now more than ever it is important to have a web presence to promote your craft. You get an instant download of this ebook. No Waiting! The information is directly applicable to all crafts! If you are not promoting yourself on the web you are losing money! You will learn where to spend some money and when to do it yourself! You will learn how to set up and eye catching display for retail or wholesale! This Ebook will help you save money, and bring more sales directly to you! Avoid the time consuming and costly mistakes I have made! I have kept the price of the Ebook low so many crafts people can benefit from it. Clickbank sells our products - they are a trusted online retailer specializing in digitally delivered products. Your credit card statement will show a charge from Clk*Bank.com for $40.00 US. for Only $20.00 US. A 50% discount! sent in an email to you. I hate spam too and will not sell your email address to anyone! After you have a copy of Adobe Reader you will easily be able to view the document and save it to a location on your computer. The file is about 160 kb in size and download time will vary with your connection speed. I live in the country with only dial up available and it takes me less than a minute to download it. Of course with high speed it will only be a few moments. Thank-you for your interest in developing the business of your craft. If you are interested in craft shows in the United States and Canada. Take the time to check these sites out! Visit Online Income Blog Here!